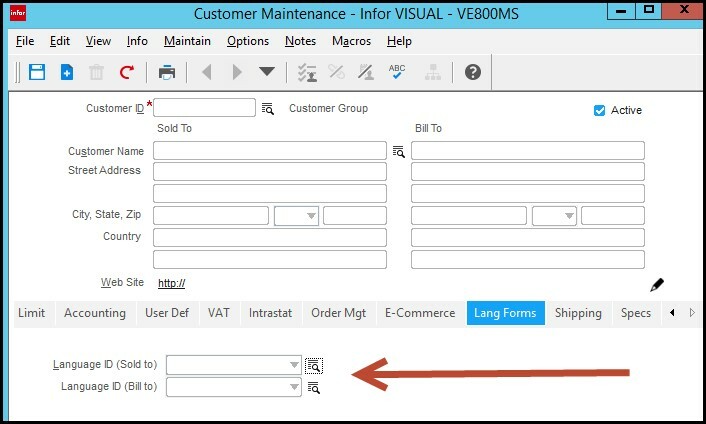 Did you know that VISUAL gives you the ability to print documents for your customers in their native language? While VISUAL obviously cannot translate your English documents to French or Spanish, it does give you the tools that allow you to automate the generation of documents in the proper language. Let's begin with the language setup itself. 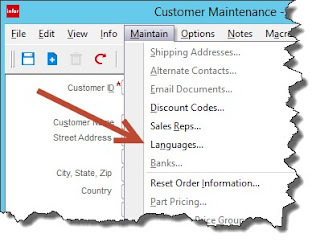 In Customer Maintenance, you will find languages under the Maintain menu. This opens a window that allows you to define the 2 character language codes that you want to use. 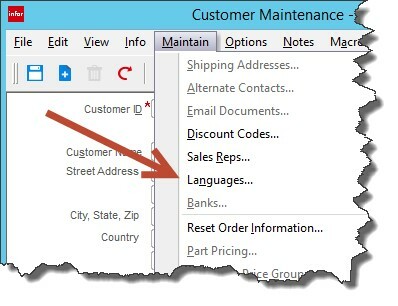 Now that you defined language(s), you can assign them to your customers. This is also done in Customer Maintenance. 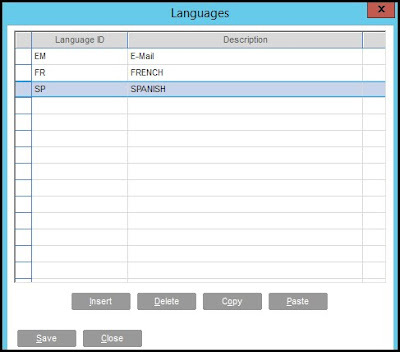 The languages available for the customers are the ones you set up in the previous step. 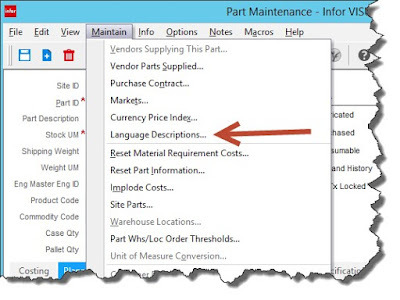 You can even set specific part descriptions for your parts by language. 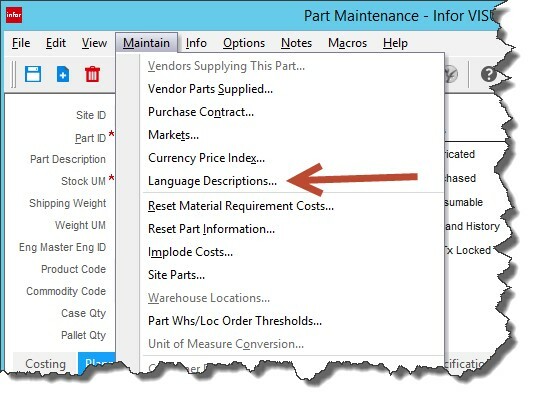 In Part Maintenance, under the Maintain menu, select Language Descriptions. 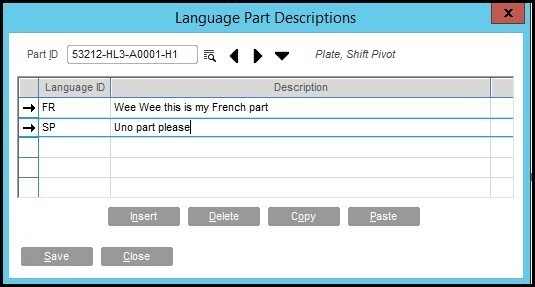 Now you have a description for your part that can be printed based on your customers' languages. There are some additional steps, including the development of the forms themselves. However, if your company does significant business with foreign customers, it may be beneficial to see how VISUAL can accommodate form generation in other languages. These tips were brought to you by BizTech VISUAL Consultant, Larry Tussing.